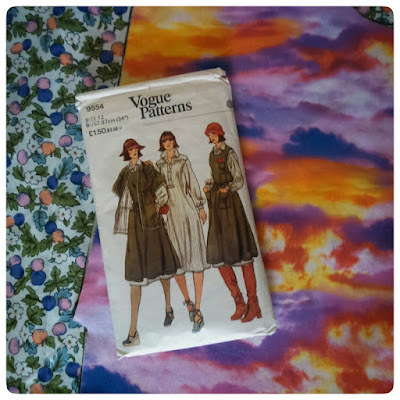 On a grey rainy Saturday afternoon I impulse bought two metres of Bernatex cotton material with a painterly flaming sunset print in the sale at the local fabric shop. 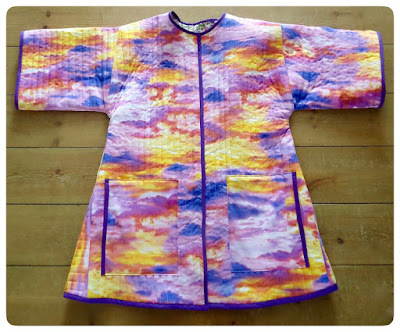 Can't think why no one else had snapped up this spectacularly kitsch fabric! I thought it would make another quick Esme dress to bring cheer to a dull day. I then remembered the vintage Vogue 9554 sewing pattern bought last year which includes a wide sleeved edge-to-edge quilted jacket. 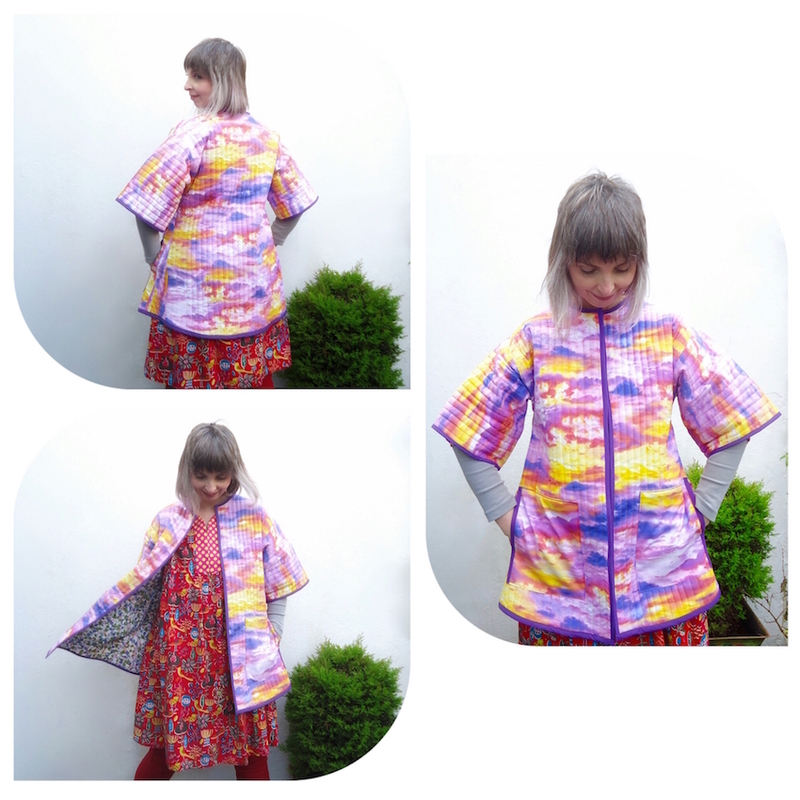 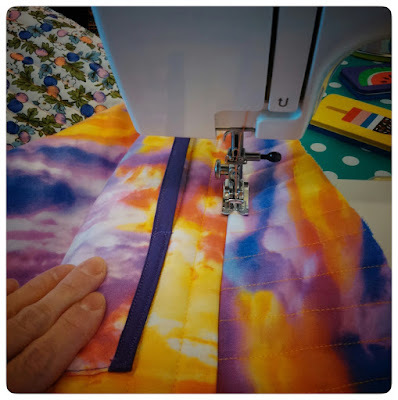 The idea of a quilted sunset jacket was too good not to pursue, so dusting off the seam gauge I prepared my sewing machine for channel quilting. I found a large enough piece of fruity floral print cotton in my stash to use as a lining for the inside of the jacket and had just enough thin soft wadding left over from the quilted ukulele bag making days. 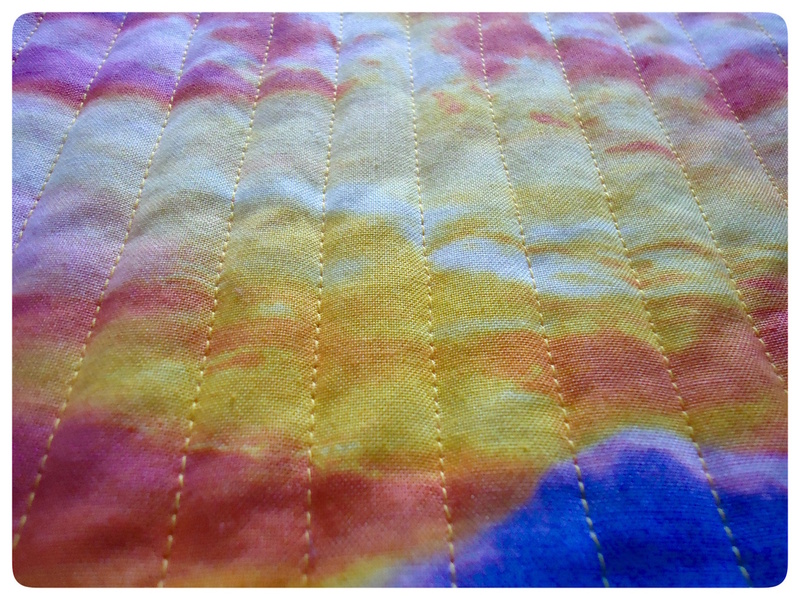 Sandwiching these layers together with the sunset fabric, I entered into the meditative state of bliss that is channel quilting long straight lines. 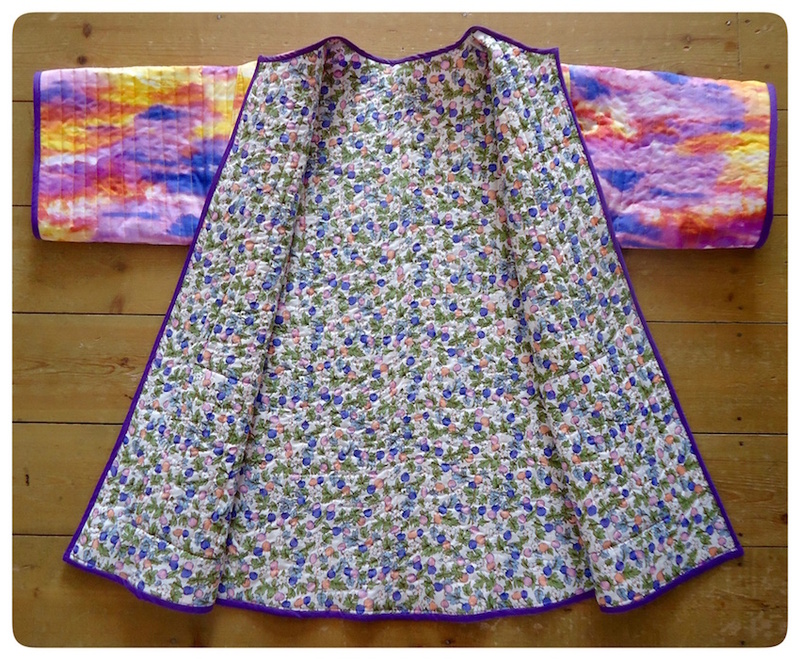 Once quilted, the jacket pieces were easy to assemble. 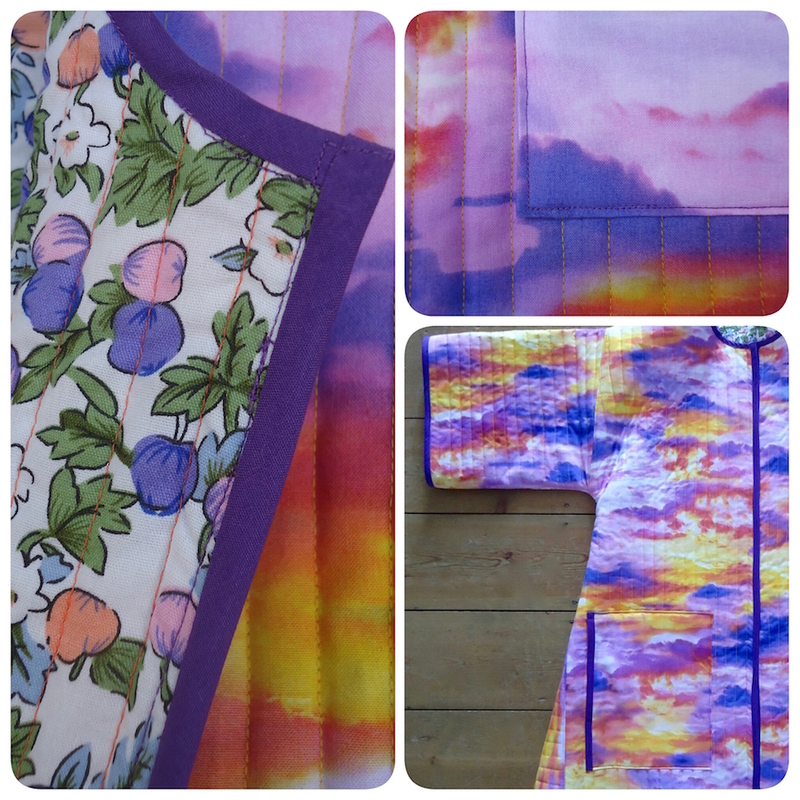 I finished off all the edges and trimmed the big patch pockets with purple bias binding bought from Worthing market. 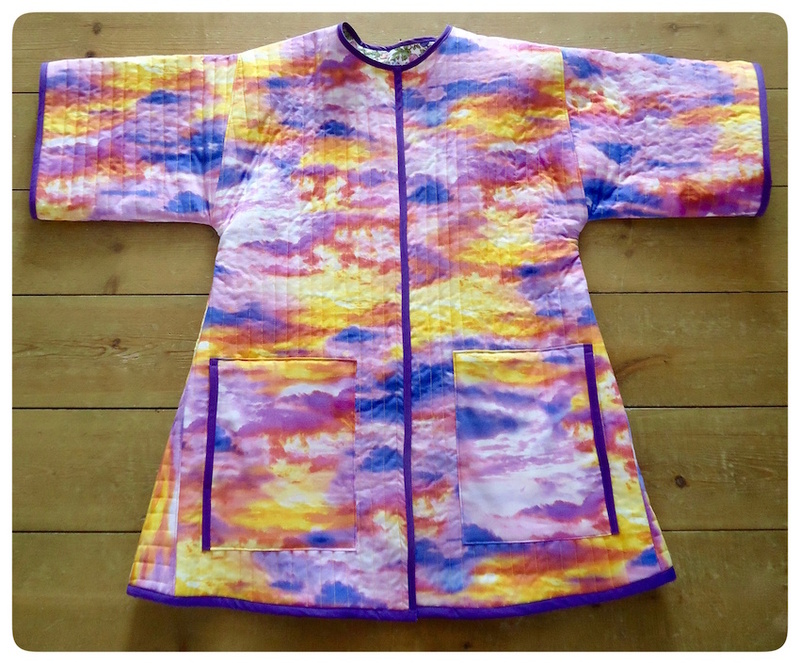 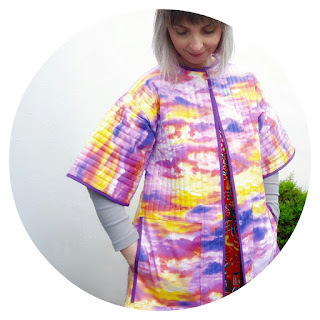 The finished jacket is a celestial sight to behold!